President’s Welcome – Ursuline Academy – Celebrating 125 Years! Welcome to Ursuline Academy – a student-centered community that has championed strong, curious, and self-confident leaders for 125 years. Are you ready to be a part of our legacy? It is with great enthusiasm and pride that I join Ursuline at this incredibly pivotal time in our school’s history. We continue to make significant strides on the construction of our new student life center, expand our Global Education Program, and enhance our world-class academic curriculum developed with the needs of today’s learner at the forefront. Through innovation and leadership we explore a new mindset for the future. There has never been a more exciting time than now to be on our campus. I encourage you to come visit our vibrant school community to meet our faculty, our staff, and especially, our students. The only way to understand what makes Ursuline so special is to experience it for yourself. If you are planning your visit to our campus, seeking information as a member of our student and family community, or reconnecting as a dedicated alumna, our website has something for everyone. Explore our school’s heritage and vision for the future. 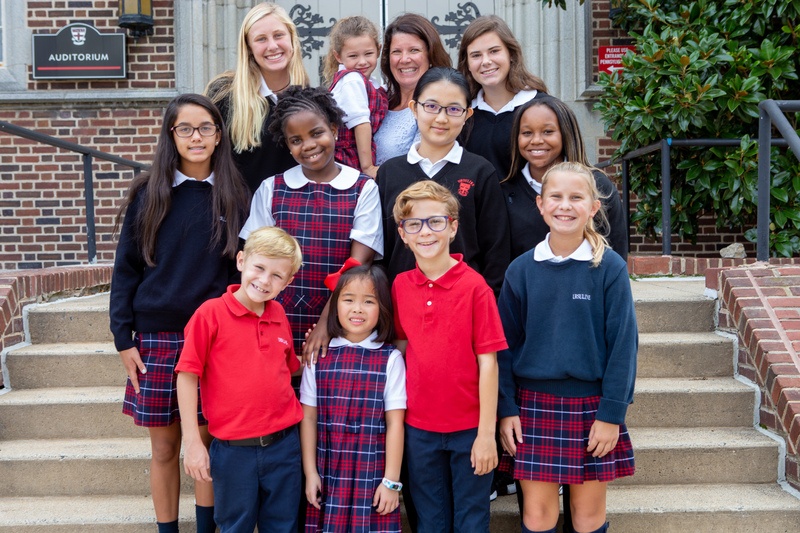 Learn about our nurturing co-ed environment focused on the development of the whole child in our Early Childhood Program and Lower School and our camaraderie of sisterhood in our Middle and Upper Schools. Research our superb Early Childhood-12 academic program implemented by our top-notch faculty that identify and harness each child’s individual strengths. Understand the indispensable role Serviam plays in the character development of each child. Find out about the depth of our student life experience, including athletics and fine arts, woven together by our community house system. Most notably, Ursuline Academy enthusiastically embraces its role as a leading member of the Global Network of Ursuline Schools, representing more than 100 Ursuline schools throughout the world. This one-of-a-kind program unites a specialized academic curriculum, exchanges with schools domestically and abroad, and special events celebrating our international partners together to produce a truly unique experience that creates student leaders at a global level far above the rest. The Ursuline community joyfully devotes itself to model Christian values through serving family, neighbors, and the world at large. We embrace the virtues and legacy of the Ursuline family, following the path of St. Angela Merici. Thank you for taking the time to learn about what defines an Ursuline education. We look forward to getting to know you!